Recent rain has been very welcome after such a long period without it over Christmas and New Year. The Birds are coming back out to play! The recent rain has at last returned our pastures back to the lush green so well known in Julatten, the creeks are swelling and birds are loving the cooler weather. So it’s back out with the lawn mowers to keep our tracks beautiful for our visiting guests. Recent guests enjoyed watching some nesting Buff-breasted Paradise Kingfishers in termite mounds at the top of our private rainforest walk. A Cassowary has also been captured on webcam behind Sweetwater last week! The elusive Cassowary has now been spotted a few times here but always leaves its traces! Calls form the Lesser Sooty Owl at night and in the early morning are a welcome sound and the wallabies are loving the crisp green grass. 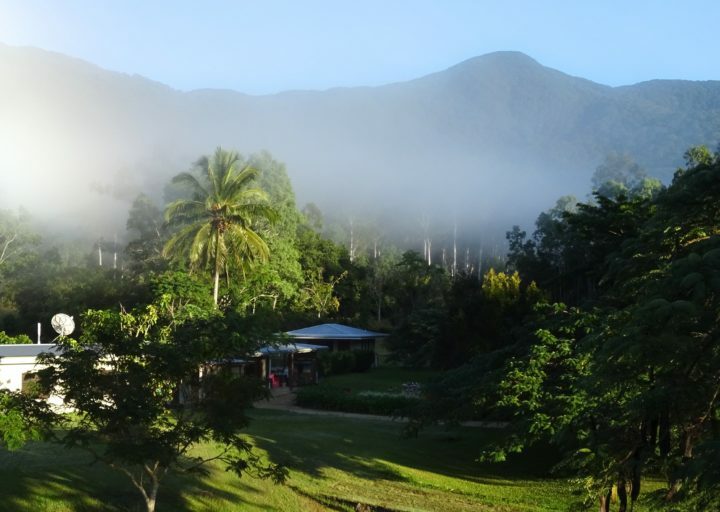 Sweetwater is luxury in Nature’s Paradise in Far North Queensland.